Mom gave me a pile of picks from her library about a year ago, including Zane Grey’s Robber’s Roost. Anyways, I read it, and this is a review. So, yesterday I went to see this movie. It’s great. You should go see it before I complain about it. If you’re spoiler-sensitive, don’t “Read More” just yet. This entry will wait. 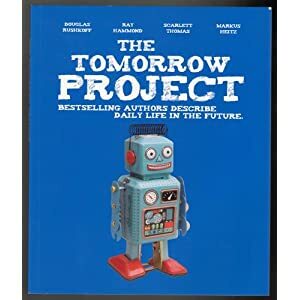 I picked up The Tomorrow Project: Bestselling Authors Describe Daily Life In The Future at Norwescon in 2011. Given my forty book backlog (which I’m decreasing, at least until my December B&N/Half-Priced Books trip), my reading latency shouldn’t be shocking. At the beginning of October, I picked up the first nine of the 10-volume Chronicles of Amber series at Half-Priced books, mainly because my Dresden group also runs an Amber game, and the idea of roleplaying a nigh-godlike figure always appeals to me. I cannot laud Nine Princes in Amber highly enough. It’s a masterpiece. 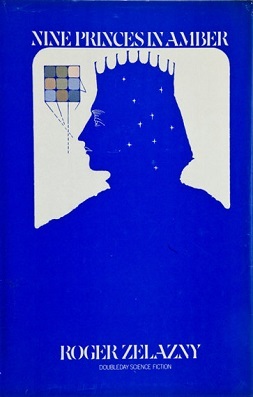 Zelazny’s prose dances across the page, never slow or boring, the dialogue sparkles and the characters all deep and intertwined. The story’s great, seeming a natural extension of the characters’ desire, the way it should be. It’s quite clear why this book was a Hugo and Nebula award winner. I’m already looking on my calendar for when I’ll have time to reread it. 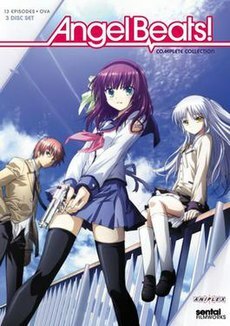 While transitioning from my old domain to www.gregoryblake.net, I noticed how often I used to review anime. Let’s do that again. Check it out! For the anime fan who’s tired of filler. For the last month or two, I’ve been absolutely crazy to see the movie Sucker Punch, or as I heard it called (sounds like a great pitch quote) : “Alice in Wonderland with Machine Guns”. I’m not aiming to spoil this for anyone, so there’s a courtesy cut below. Don’t go complaining to me about spoilers if you clicked to read the rest: This entry is about the intersection between plot and message, and how the two can undermine each other, leaving the audience dissatisfied. Also, I will say above the cut that the movie is definitely worth seeing. The 1% of the movie that I complain about is what I focus on in this article, not the 99% that was amazing.